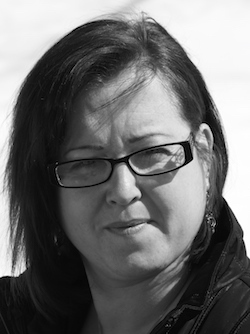 Writer Wednesday: Meet TP Keane! Welcome to the final February Writer Wednesday! I don’t know about you, but I’m looking forward to spring weather here in Virginia. Luckily, we have fantasy author TP Keane with us today to beat those winter doldrums and send us off into her rich fantasy worlds. Wahoo! So settle in with a good cuppa, or a donut, and if you have any chocolate, will you send it my way? Take it away, TP! I’m inspired by the world around me. There are no characters so bold or loud as the ones around us. They are the inspiration behind a lot of my characters and I need only a glance into their lives. From the way an eccentric woman tilts a pink over-feathered hat, to the way a child would glare at a cute puppy for stealing his ice-cream. All of these things offer me fodder for my vernacular fornication. 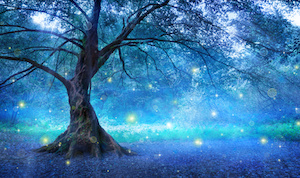 Being a fantasy novel, there are a lot of pre-determined expectations from fantasy readers. And as much as I wanted it to be “my” book, I was aware that if I ever wanted to write another book, one that would be appreciated by more than just me, I would have to concede certain things. Critical thinking and an understanding of the psychology of people, is a skill authors learn from the get-go. But writing in fantasy, I had to create a new world and that world had to make sense. 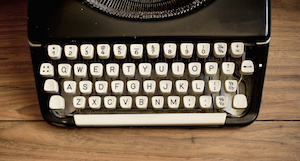 Read more about how to write. Absorb everything you’re told, take criticism with a pinch of salt, but take it nonetheless. Olórin’s adopted son, Aramus, is a creature unlike any in the kingdom of Naretia. He is feared by all, and holds a darkness inside that is said will end all life by his eighteenth birthday. Olórin must scour the kingdom for godly ingredients to make a potion for Aramus that will save them all. He is hoping his son’s human side will prevail over the rising darkness within him, for long enough to outrun their enemies. TP Keane was born in Ireland, the middle child of seven. 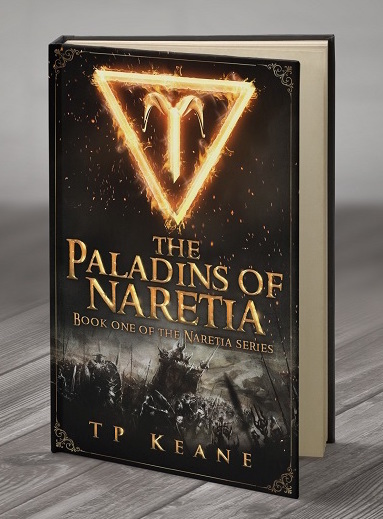 The Paladins of Naretia is TP Keane’s debut novel. An avid lover of science fiction and fantasy, she found herself drawn into a world that sprung to mind one night, in a dream. Naretia held many secrets and adventures, of which The Paladins is only the first. Thanks so much for joining us, TP! It’s been a pleasure!